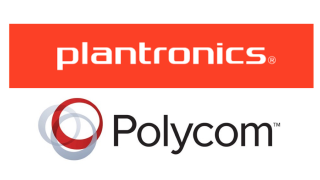 Plantronics and Polycom have entered into a definitive agreement under which Plantronics will acquire Polycom in a cash and stock transaction valued at $2.0 billion enterprise value. The transaction has been unanimously approved by the boards of directors of both companies, is subject to regulatory approvals and other customary closing conditions, and is expected to close by the end of the third calendar quarter of 2018. With the addition of Polycom, Plantronics will have among the broadest portfolio of complementary products and services across the global communications and collaboration ecosystem, and the ability to create exceptional user experiences. The combination positions Plantronics to capture additional opportunities across the $39.9 billion unified communications and collaboration industry, which is driven by innovation in video and the ubiquity of audio, building growth opportunities through data analytics and insight services. Additionally, Polycom significantly expands Plantronics services offering, providing a meaningful presence in management and analytics services. Polycom is privately held and had a 2017 GAAP revenue of $1.1 billion, non-GAAP gross margin of 56.6 percent, non-GAAP operating income of $183.1 million, and non-GAAP operating margin of 16.0 percent. The transaction is expected to be immediately accretive to non-GAAP EPS. Plantronics targets achieving annual run-rate cost synergies of $75 million within 12 months of transaction close. Under terms of the definitive agreement, Plantronics will acquire Polycom for $2.0 billion enterprise value consisting of an estimated $690 million of net debt and an estimated $948 million in cash and 6.352 million Plantronics shares, valued at $362 million based on the 20 trading-day average closing price of Plantronics stock prior to signing, resulting in Polycom shareholders owning approximately 16.0 percent of the combined company. Estimated amounts are subject to customary post-closing adjustments per the definitive agreement. Frank Baker, founder and managing partner, Siris Capital, and Daniel Moloney, executive partner, Siris Capital, will join Plantronics board of directors. Effective April 1, Robert Hagerty, board member and chairman of the strategy and mergers and acquisitions committees, will assume the role of chairman and Marv Tseu will assume the role of vice-chairman of the Plantronics board of directors. Plantronics intends to fund the cash portion of the consideration with cash on hand and approximately $1.375 billion in new, fully committed debt financing. Wells Fargo Bank and affiliates have committed to provide the debt financing for the transaction, subject to customary conditions. Plantronics expects to pay down a significant portion of the debt within the next several years with cash on the balance sheet and through cash generation.